Over the course of three years, I have had the privilege of being a Student Government representative. This experience has been my proudest endeavor, and one that has completely typified my collegiate experience. I am committed to every aspect of public service- from recognizing potential, student advocacy, accountability, and leaving the university better than when I found it. After two terms serving as the Chairman of the Administrative and Financial Affairs Committee, I have an earnest deference for the organization and the work it can produce. Through my Chairmanship, I have gained a unique, multifaceted experience in the organization– by managing the Senate’s $20,000 budget/SG’s total budget, being a liaison for several administrative budgetary offices, approving all monetary legislation through the committee, and working with the statutes and regulations of the Student Senate. This experience has helped me to understand the organization and its structures in a very detailed way. What do you hope to accomplish if you win? 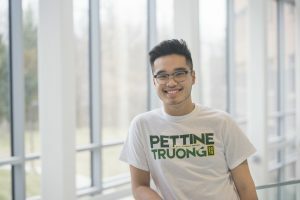 If elected Student Body President, I plan on holding true to the Pettine Truong 2018 Campaign Platform- reaching new heights, representing every student, and reinventing the way Student Government functions and communicates with all of Mason Nation. Our platform touches on a multitude of topics, including better outreach with multi-cultural organizations, improvements to the Title IX system, evolution of the Mason Stewards Program, vast accessibility development within academic affairs, innovation to the Student Health system, universal affordability, greater advocacy for student on-campus employment, and MANY more. In addition, we wish to improve the way Student Government operates as a whole– with better transition processes, more transparency of events/services, and enacting event subcommittees to engage non-SG students who cannot make the full commitment as a Senator. To read our full platform, visit our website at www.PettineTruong2018.com. What’s one thing voters might not know about you, your life, or your interests that was not mentioned in the first two answers? Outside of my three-year involvement with Student Government, I have been involved with numerous organizations and clubs at Mason. Currently, I serve as Vice President of the Panhellenic Council where I manage all judicial processes, advise Junior Panhellenic, plan roundtables, and submit bylaw updates. In addition to this, I work closely with numerous service organizations, including American Red Cross, American Legion, and my most active partnership- BeTheMatch. 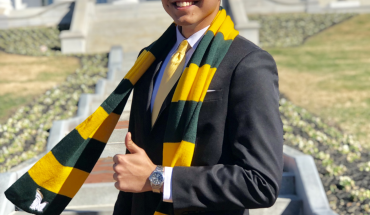 Last year, after joining the BTM registry and eventually donating bone marrow myself, I was inspired to organize Mason’s first ever registry drive, in which over 100 Mason students registered. Taking on a leadership role isn’t about self-indulgence or personal gain. Leadership is about serving and making change where it’s possible. The Vice President needs to possess a productive relationship with their running mate and the student body as a whole. 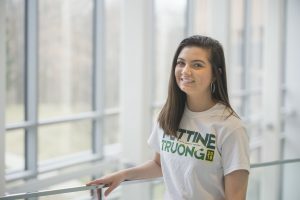 Working for Mason’s Office of Student Media has given me a unique perspective on the rich and diverse voices of the Mason community. There, it wasn’t about vote counts or amendments, but learning about someone’s story and how to make sure they were heard and advocated for. It’s time for Mason’s Student Government to represent the students it is elected from— all of their passions, fears, and hopes. Bekah and I have created a platform on reaching new feats, representing every student, and reinventing the process. 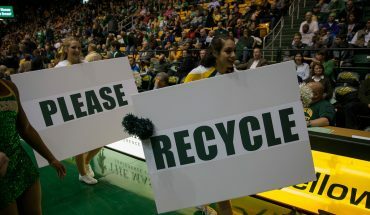 With our distinct perspectives and experiences, we hope to bring tangible change for the nearly 35,000 students that attend GMU. Talk isn’t enough. If elected, Bekah and I plan to use our ideas and goals we ran under to produce tangible results. We plan to form lines of interconnectivity with new Mason community members and reinvigorate stagnant ones. Student Government is too often isolated from the issues and concerns Patriots confront on a daily basis. 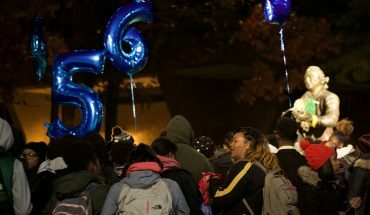 Whether it is issues with housing or tuition, Student Government needs to have a role in advocating and representing the student voice in the conversations. Building those relationships with the student body will not only help open dialogue, but better understand the issues before they surface. We hope to have a productive year in starting groundwork for outreach and making Student Government more interconnected with the community it serves. Some other issues we would like to focus on are better tuition advocacy and transparency, sustainability, and accountability for student government actions (and inactions). My family immigrated from Vietnam in the late 90s. Working long hours for minimum wages, I saw the work they put in to have a roof over our heads and food on the table. They taught me I had to work twice as hard to earn the same amount of respect. My motivation to succeed in life and pursue public service derives from the struggles my family members faced. My community has given me love and support since I was born, and it’s my turn to give back.